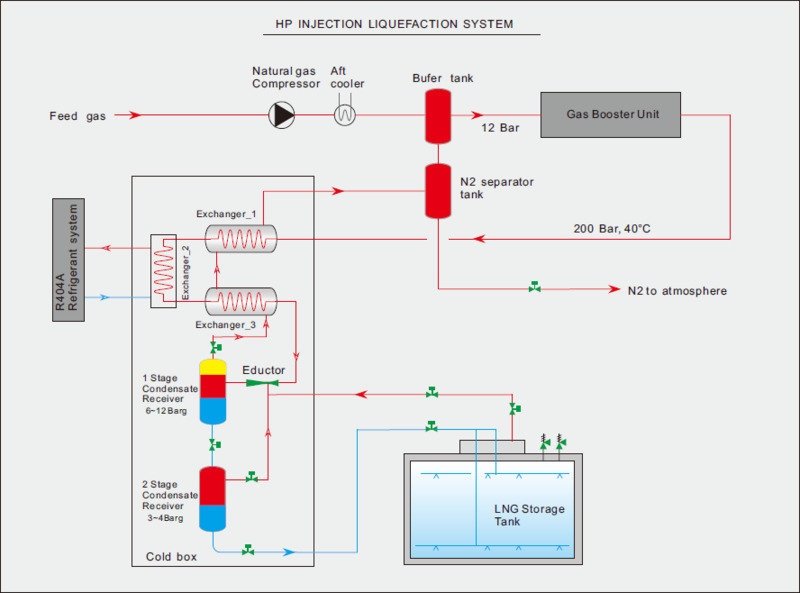 ﻿ HP Injection Liquefaction System - Business Scope - Gloryholder Liquefied Gas Machinery (DL) Co., Ltd. The feed gas will be compressed to around 12bar and led to gas booster unit suction via after -cooler, then the feed gas will be multistage compressed to above 20Mpa, and the compressed gas ingress into the cryogenic cold box, where it will be pre-cooled by the boil off gas from LNG storage tank. Then the high pressure and cryogenic gas will be expanded in the ejector and the mixture of gas and condensate will be generated and saparated in the condensate receiver, the condensate will be transfered to the LNG storage tank. 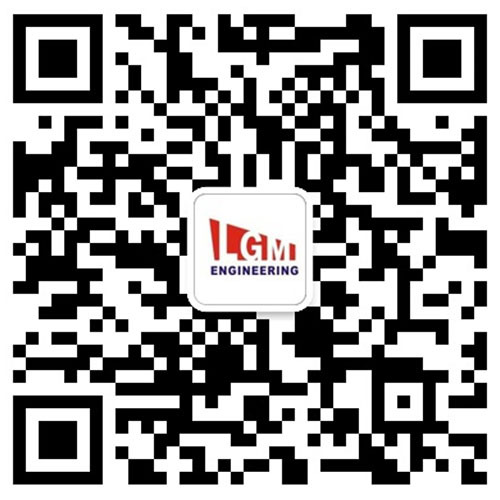 Boil off gas generated in storage tank will be drawn out by the ejector's vacuum nozzle and flow into gas booster compressor and mixed with feed gas for continous refrigeration cycle. ● Process simply, ejector as main refrigeration parts, safe and reliable, without maintenance. ● Modular design , save installation space. ● Power consumption: Approx: 0.6 ~ 0.7 KWh/Kg of LNG.